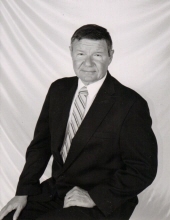 Timothy John Evans passed away on March 24, 2019, from cancer in his home in Live Oak, CA, with his wife Linda, daughter Evangelina, and sister-in-law Nanette Medin at his bedside. Tim was born on March 30, 1943, in Oakland, California to Evelyn and Louis Evans. He was the middle child of 3 boys. He completed his early education at St. Louis Bertrand Primary followed by Bishop O'Dowd High School, graduating in 1961. During the summers he and his younger brother Terry often spent time at their grandmother's home in Fair Oaks, CA. She had a nursing home and a farm that provided food for the residents. The boys learned to herd cattle, raise poultry and farm vegetables. After high school he received his degree in Political Science at UC Davis graduating in 1963. At Davis he played football and managed the fraternity house of Delta Sigma Phi, remaining a life-long member. He attended Hastings School of Law in San Francisco, excelling academically and being awarded membership in the Thurston Society by completing his first year in the top 5%. He was awarded membership in the Hastings Chapter of the Order of the Coif graduating in the top 10% of his class in 1968. He passed the Bar and moved to Yuba City to begin his professional career at the office of Steele and Arostegui. He served as a defense attorney for the next 10 years. During these years he did pro bono work for California Rural Legal Assistance (CRLA) upon his return to private practice he was able to donate time to their self-help clinic. In 1978 he was elected Judge for Sutter County Courts and continued to serve until his retirement from the Sutter County Superior Court in 2003. During his time as a Superior Court Judge he was the driving force behind the creation of the Family Intervention Team (FIT) of Sutter County, assisting youth and their families. This program has been duplicated in other counties in California. He also developed the Rollercoasters Program, a therapeutic program for children involved with Child Protective Services as well as the Parenting without Conflict Program. In 2003, upon his retirement, he received the award of Judicial Officer of the Year from the Chief Probation Officers of California. Following his retirement from Superior Court he continued as an assigned judge in various counties, primarily in Nevada and Yuba. In 2007 he opened a law practice in Marysville where he and Linda ran a successful business until he suffered a traumatic brain injury in June 2012. Tim was involved with multiple community groups. He joined the Kiwanis Club of Yuba City in 1980 and was president for the 1987-1988 term. During his term he chose, as his special emphasis, to assist Casa de Esperanza. The club provided interior repairs as well as established a garden. Casa recognized the club and Tim's leadership for their contributions by awarding a plaque stating, "Thanks to you we can truly be a house of hope." After a change in the international by-laws, Tim sponsored the first woman into the Kiwanis Club of Yuba City. During Tim's 39 years as a member of Kiwanis he received several awards and acknowledgements. Separate from his achievements in Kiwanis he received the Robert Kunde award for outstanding service to youth in 1998. He also was President of the Board of Gateway Projects 1988 - 1990. Tim was a man of high energy and enthusiasm for many causes. He coached his 4 children's various sport teams; often saying that he learned the rules as he went along. This covered many activities over 30 years in multiple venues. A few other pet projects were the annual rummage sale at St. Isidore, playing Santa at the Elk's lodge Christmas breakfast and giving individual roses from his own garden on Mother's Day, to the clients at Casa (delivered by his daughter Evangelina). Tim also loved farming on his walnut ranch. During the summer he could often be found out in the orchard mowing on his old International tractor until well into the night. Tim is survived by his loving wife and best friend, Linda Evans; his four children, Evangelina, Cassandra, Michael, and James; 4 grandchildren, Peter, Jasmine, James Timothy, and Kathleen Evans; and brother and sister-in-law, Terry and Ginger Evans. He is preceded in death by his parents and older brother Patrick Evans. Thank you to Sutter North Hospice for your care and support to Tim and his family at the end of his life. Memorial donations can be made in his name to Casa de Esperanza (PO Box 56, Yuba City, CA 95992). Viewing will be held at Lakeside Colonial Chapel located at 830 D Street, Marysville, CA on Sunday, March 31, 2019, from 3:00 to 6:00 p.m. A mass of Christian burial will be held at St. Isidore Catholic Church, 222 Clark Avenue, Yuba City on April 2, 2019 at noon. To send flowers or a remembrance gift to the family of Timothy J. Evans, please visit our Tribute Store. "Email Address" would like to share the life celebration of Timothy J. Evans. Click on the "link" to go to share a favorite memory or leave a condolence message for the family.